Do you work near Brunswick Square? Bored of surfing the internet in your lunchbreaks while dropping sandwich crumbs into your keyboard? Then why not get out and about in that precious hour between morning meetings and afternoon chores? This week, The Foundling Museum is holding free lunchtime concerts on Wednesday, Thursday and Friday, between 1pm and 2pm, in their Picture Gallery. Take your pick from Vivaldi and Handel's operatic arias (featuring counter-tenor Cenk Karaferya, in an exploration of castrati arias) on Wednesday; the Beethoven Piano Society of Europe Trio, playing Beethoven, Debussy, Muczinski, Shostakovich and Gal on Thursday; and the Goodenough College Concert Series singing Handel on Friday. All the concerts are free, once you've forked out a fiver to get into the museum (concessions: £4, children go free). 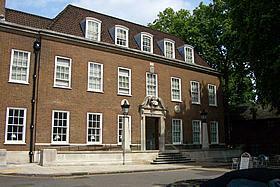 Free Lunchtime Concerts at the Foundling Museum take place throughout the summer. Check out www.foundlingmuseum.org.uk for complete listings.